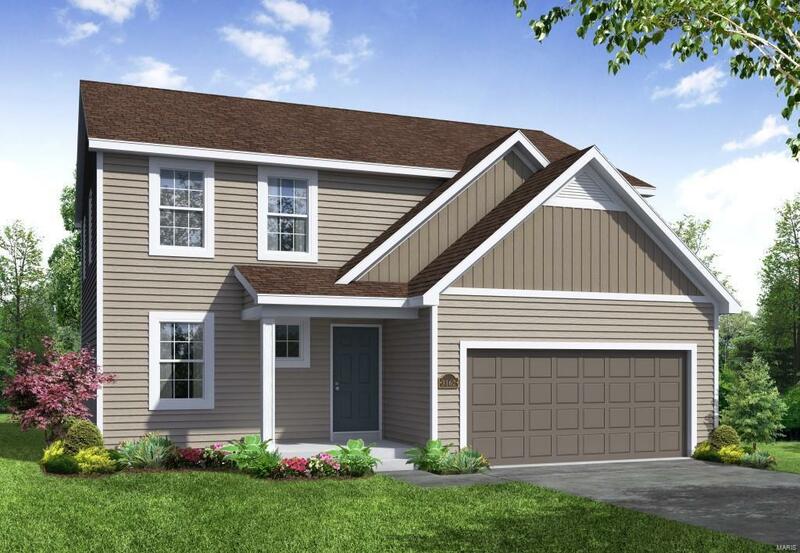 ENJOY THE BENEFITS OF BRAND NEW with NEW CONSTRUCTION by Payne Family Homes in Henley Woods. This community is located near Lone Dell Elem School & offers 144 home-sites in a panoramic setting w/abundant common ground, 2 nature trails & stunning mature trees. This smart 2-story home has 4 BD, 2.5 BA, 2,031 s/f, an open flr plan & a convenient upstairs Laundry Rm. Features inc 9 ceilings, 42 cab, st steel appl, Kit island, Quartz c-tops, wood laminate flooring, side staircase design, dbl bowl raised height vanities in the Mstr Bath, shower w/a seat, dual closets in the Mstr Suite, humidifier, R/I bath, Jeld Wen Low E windows & R 38 ceiling insulation. The ext is inviting w/vinyl siding, vert accent siding, arch shingles, coach lights, full sod & prof landscape. There are entries off Lonedell & Pomme Rd. Residents will have an easy commute w/quick access to Hwys I-55, 21 & 141 as well as Mastadon State Park, local parks, the Arnold Rec Center, shopping, restaurants & entertainment.